Let's face it. Today, if you're in business, you have to be a marketer. But there's a pretty good chance your training didn't prepare you to be a marketer. You're a dentist, or a life coach, or an interior designer, or a manufacturer. You know your business. But what you don't know is how to effectively market it. Imagine how it would feel if you were totally clear about the people who see value in what you offer and are willing to pay you for it? Would it be easier for you to articulate your company's value? Would you know where to market it? Would you be more confident in talking about it? You bet it would! I've been involved in advertising and marketing for over fifteen years. The biggest marketing mistakes I see businesses make boils down to one thing: They aren't clear about their ideal customers. It's why there are so many ineffective websites out there. It's why networking doesn't work. It's why marketing can be a waste of time and money. I've developed a unique formula and process that will get you so totally clear about your ideal customers that you can spot them across a room. You know who you should focus on and where to apply your hard earned dollars to attract them. "My ideal client, now that I totally get her, moves quickly through the like-know-trust continuum and says, "Yes!" to the coaching journey with me. I now close 80% of my enrollment conversations!" Attract Your Ideal Customer gets you totally clear about your ideal customers and teaches you how to articulate your company's value ways that make them listen, remember, and react. over any other marketing course out there? Because it's the only program of its kind that focuses on getting you totally clear about your ideal customer and uncovering the words to use in your marketing and networking that will attract and instantly connect with her - in her heart - where buying triggers live. Because your instructor (that's me!) is trained and certified in value proposition development, which is a key component in articulating your company's value to your ideal customers based upon appeal, exclusivity, and proven results. Because I have dedicated fifteen years to creating the process and formula used in the program. I not only teach you how to use it but I make sure you implement it, too. Your business is maturing. You have set some lofty goals and everything rests on meeting them. In your zeal and excitement about the next iteration of your company, you've begun to realize that your marketing message, the one that helped you get where you are, doesn't feel right anymore. Your success was attained by hard work and determination and especially now, your message must really connect with your customers. Attract Your Ideal Customer may be exactly what you need. You're finished with the corporate rat race. You've served your time, had your ups and downs and gained a ton of experience. The time has come to start your own business and be your own boss. Failure is not in your vocabulary. In your former life tasks such as developing value propositions and crafting website content were someone else's responsibility. It's all on you now! You want some help. Attract Your Ideal Customer could be the answer. "I would not be where I am in business without the help of Betsy Kent. 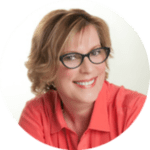 Her “Ideal Client” model helped me transform my sporadic workflow of random projects into a steady stream of relevant work by targeting new and returning clients who my skills serve best." There are certain people out there who immediately see value in what you offer and are willing and able to pay you for it – those are your ideal customers. Together we’ll go deep and flesh out precisely who they are. We'll use your ideal customer identity to build prototypes (yes, you may have more than one). Your ideal customer prototypes will become the foundation of everything you do from now on to promote your business. These are not "avatars" - your customers are real people with real lives. I'll show you how to connect with them. Now that you understand your ideal customers, together we'll build a power list of words and phrases that you will rock your marketing. Through customer interviews, recorded conversations, and/or questionnaires you'll uncover the exact words your customers use when they describe what they want more than anything in the world as it relates to your business. You'll begin to listen differently . methodology and I'm certified as a Value Proposition Expert. Finally, you'll create new content for your website, update your social media profiles and business pages. Your messaging will be in total alignment with what your ideal customers' wants and needs. If you're ready to gain an intimate understanding of your ideal customers and use THEIR OWN WORDS to win their hearts, then Attract Your Ideal Customer may be for you! Attract Your Ideal Customer was developed as I worked with business owners in my digital marketing agency, Be Visible. I realized a few years ago that my formula and process had evolved to the degree that it could stand on its own. "It is beyond amazing to stop struggling with my words, really develop a connection with my ideal clients, and finally make some great money!" There are a lot of marketing courses out there you can take. This is the only program that helps you nail down the identity of your ideal customers and teaches you how to articulate your value in their own words. Over 100 businesses are using this method with stellar results. If you've invested in other marketing courses, Attract Your Ideal Customer strongly boosts their effectiveness. You already do a stellar job articulating why people should buy from you instead of your competitors. I'm Betsy Kent and I've been an internet marketer since 2008. I have written website copy, blogs and emails for hundreds of businesses and here's what I've discovered: when you are totally clear about your ideal customer and are solid with your value proposition, you actually attract your ideal customer. I created this course for business people who manage their own marketing, don't have a budget to hire a marketing agency or branding agency, and want to grow. Without wasting a ton of time figuring it out. Whether you live right in my neighborhood or on the other side of the planet, you get high-touch, personal training by someone who is invested in your success, me! Sign up for private training or join a group from anywhere in the world. What’s the return on your investment? You will easily attract your high-value customers. Your sales conversations will be more successful because your prospects are already excited and ready to buy. Your website and marketing will be transformed into lead generating tools while you go about running your business. You'll make more money, work with the customers you want to work with, spend less time on fruitless marketing activities...and make more money (oops, I said that twice!). 7 Sessions is all it takes! If you want to work with me privately, you can probably start right away. If you want to be part of a group, the next group starts mid-March 2019. When we talk, we'll see what's right for you. What if I'm not sure this is right for me? LOL. If you're not my ideal client we'll know that pretty fast. I’m just getting my business started, is it too soon for me to enroll? If I'd had this training when I first got started in business I would have saved a lot of the money and time as I sought "the answer" to my business growth woes. The private program is $4,897. Group programs are $2,197. Ask me about my installment plan and bonuses! What if I just want to talk about my ideal customer but I'm not ready to buy? Just click on the link below to set up a call with me and there is no pressure to enroll. I repeat...no pressure to enroll! Attract Your Ideal Customer is right for you. PS: I don't believe in high-pressure tactics. Don't avoid this call just because you're afraid you'll be under pressure to buy. "We worked with Betsy to "profile" our target audiences (we ended up with three) so as to write content on our new website in the appropriate voice based on those profiles. A very disciplined and systematic process of roughly defining the profiles and then describing them. Not a painless process, but when completed, we were very, very confident about what we needed to say and to whom. Science and skill winning over superstition and fear. Highly recommend her process and approach." "Betsy, you are a trailblazer. I now have the critical keys to market directly to my most ideal of ideal clients, and then tie it all together in my online and offline marketing so I'm always speaking from the same side of my mouth. The return on investment from your course is unshakable." After last week's session, I sat down and thought about a bunch more blog post topics, based on what our ideal clients were talking about. I posted the first one yesterday...and once again, your influence was GOLDEN...425+ readers, reading 100% of the article...in just the first 24 hours! This course is perhaps the single best thing we've ever done for our business and ourselves! Even though I had done a lot of "ideal client" work, I found myself still struggling to come up with the right words and I couldn't understand why. It wasn't until I took Betsy's program that I figured out my problem. All of a sudden the words and ideas just flowed and I found I had a ton to say, and had lots of ideas for blogs, ads, and products. It is beyond amazing to stop struggling with my words, really develop a connection with my ideal clients, and finally make some great money! I am so happy that I finally defined who my ideal client is! Having the opportunity to identify who I want to target is going to be extremely instrumental moving forward as an Interior Designer and small business owner. This knowledge will be very beneficial as I re-design my website and marketing collateral. My very first blog post after taking this course generated more publicity than any for the past three years.